"Speed is scarce; get it early"
"Don't fall behind on power"
You've probably heard some version of these roto-league axioms ad nauseam this offseason, but in a points league? Throw it all out the window. Points are points, no matter where they come from. That was my mindset heading into last Friday's Tout Wars Head-to-Head points league (12 teams, auction format). 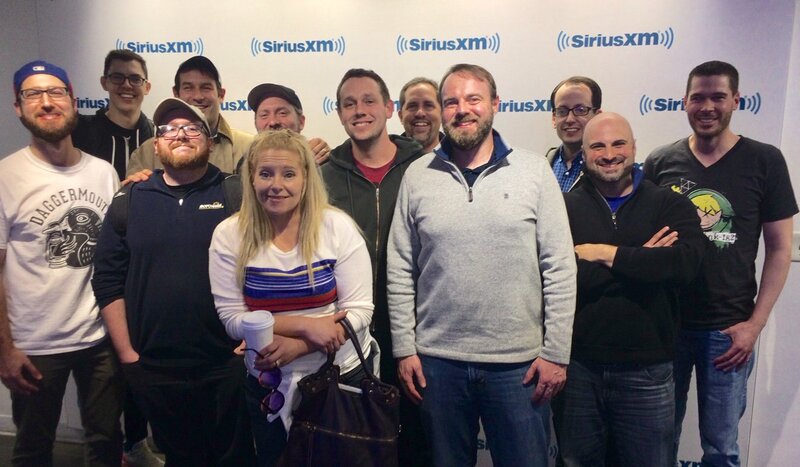 Before we get into the strategy, a quick aside: my first Tout Wars experience was an absolute blast. Having the auction at SiriusXM headquarters in New York City was great, and this league featured many industry friends and First Pitch Arizona speakers. The weekend as a whole—hanging at Foley's with the whole gang, watching other Tout drafts, and drafting in the NFBC's Main Event—serves as a great reminder: you just can't beat the camaraderie of a good ole in-person, live draft. By far the most important piece of advice when prepping for a points league—and this is far from earth-shattering analysis—is to know your league's scoring system. It has a massive impact on how you should value the player pool, and every league is different. 1. Plug the league's scoring system into our projections to get a projected point total every player. 3. Calculate the Points Above Replacement (PAR) by subtracting each player's replacement-level value from their total projected points. 4. Rank all players by PAR. Draft accordingly. For straight drafts, that's really all you need to do. There are two more steps for auction leagues like Tout, and that's to convert PAR into dollar values. Most draft tools like the Custom Draft Guide or Rotolab also require some type of split to generate dollar values. A "split" is a misnomer in points leagues—Todd Zola recently outlined this in a Subscriber Forums thread—since all points come from one economy rather than from your traditional rotisserie categories. For example, JD Martinez: 218 PAR * 0.14925 $/PAR = $33. 6. Take the ratio of total PAR for hitters to pitchers for your split. Mine came out to 63/37%. Again, I'm not going by this split on draft day; it's just to align RotoLab's auction values with the points available in the player pool. Draft five closers: It sounds crazy. It might be. But closers with elite skills and an established role are rare, and since they fetch more points than most aces in this league, I'm going to stock up early, often, and hopefully at a discount. 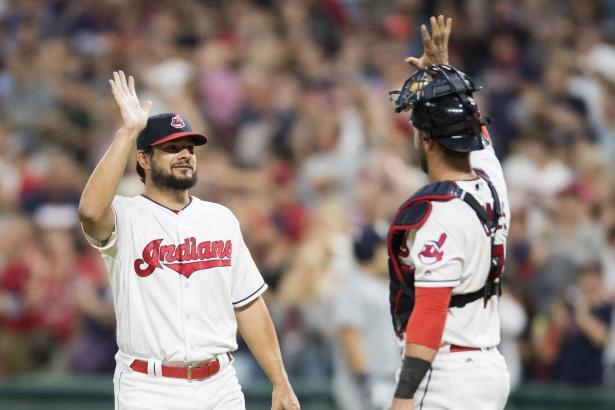 Draft four cheap starters: There's a 950-inning minimum here, so I can't go full-on bullpen. The replacement level for SP in a 12-team league is quite strong, so I'll speculate on those with juicy skills and if they don't work out, I'll dip back into the FAAB pool. 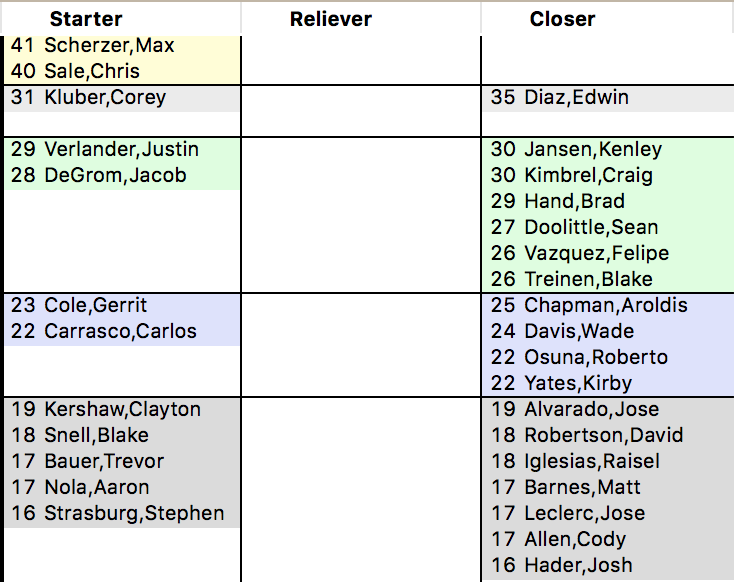 There were 12 sub-$5 pitchers with good enough skills (>110 projected BPV) to build a decent endgame target list. The Principal's Office: "Bloomfield, we need you in here", was the call from the Sirius XM folks as we stopped for Break #2 in the auction. My five-closer strategy went as planned, and it got me called into the Principal's Office (the XM booth) to explain myself on air—at least they didn't throw me out of the room. Everyone else went Stars and Scrubs: Auction dynamics at their finest. Notice I "overpaid" on my three $30+ hitters—other top bats were going 10-15% higher than my RotoLab values, so I had to adjust on the fly and go a couple of extra bucks at the top.